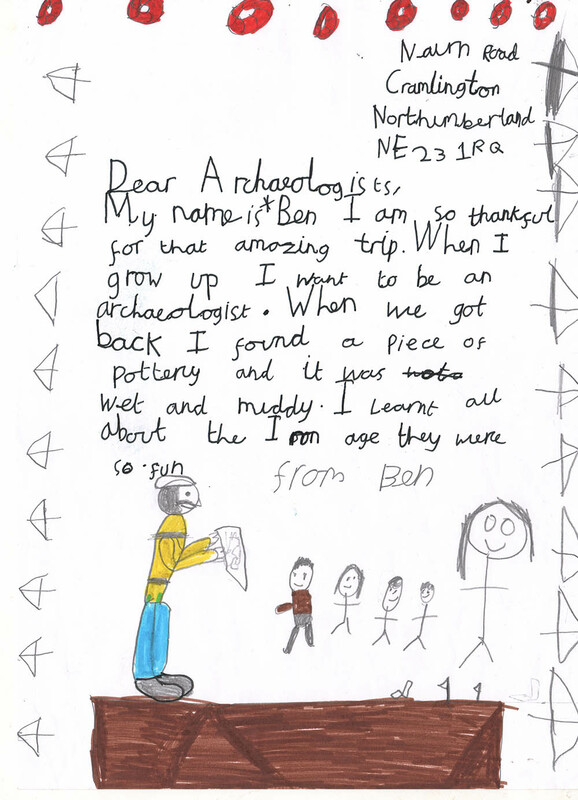 Trial trenching and geophysical survey in advance of residential development at Cramlington located evidence of a possible Iron Age settlement. 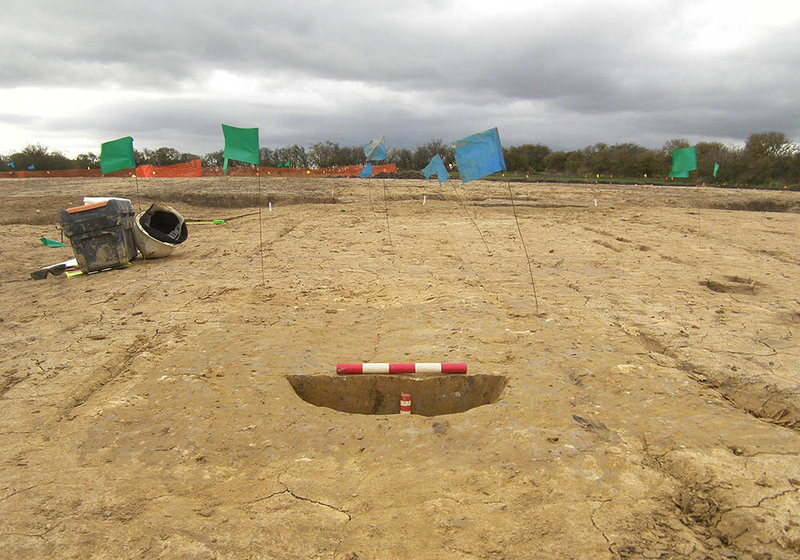 NAA was commissioned to undertake the archaeological excavation of the site, and quickly demonstrated to the client that the settlement was actually far more extensive than previously believed. 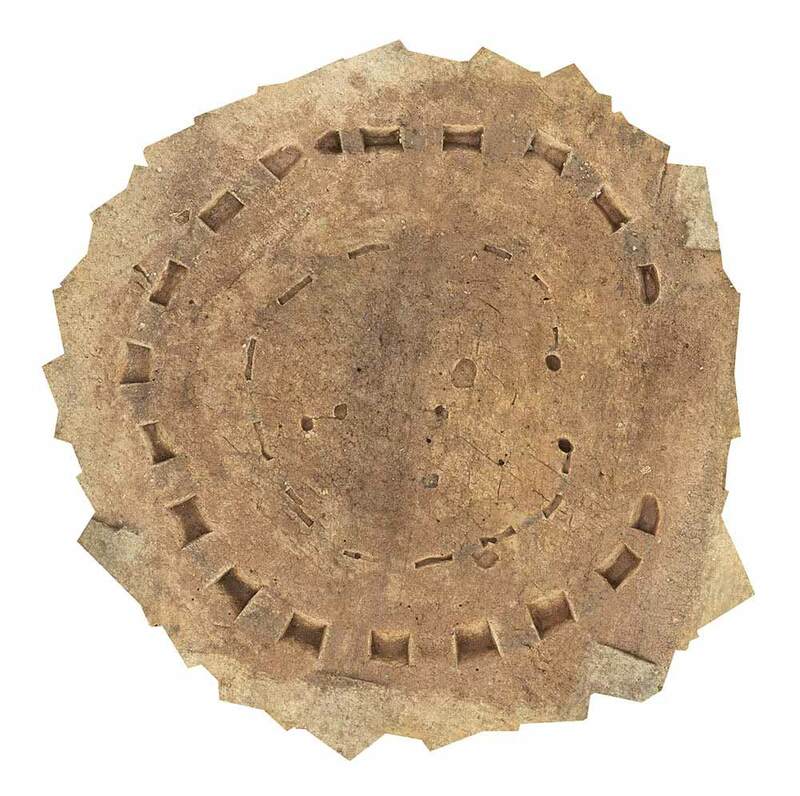 The most prominent features comprised a well-defined rectangular ditched enclosure and four roundhouses located centrally within it, representing at least two phases of occupation. 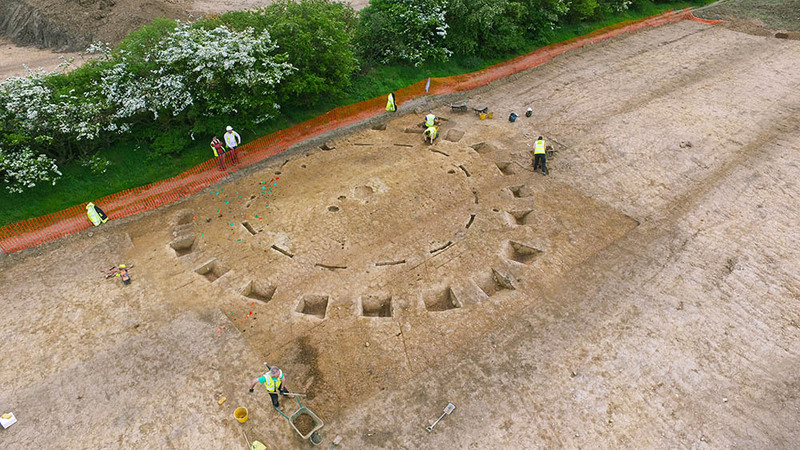 A further three large and well-preserved roundhouses – and two smaller circular structures interpreted as a blacksmith’s workshop and a livestock shelter – were found outside the enclosure. 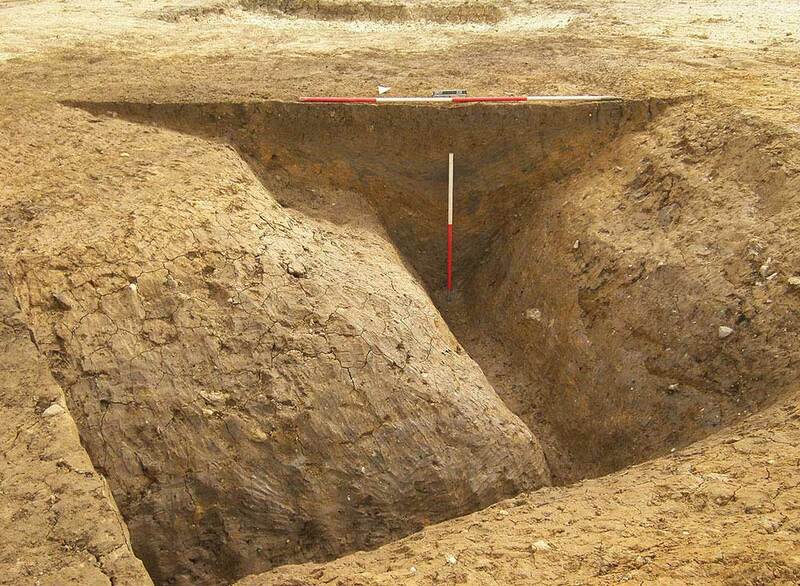 The enclosure and structures are regarded as typical for the Late Iron Age in the region. 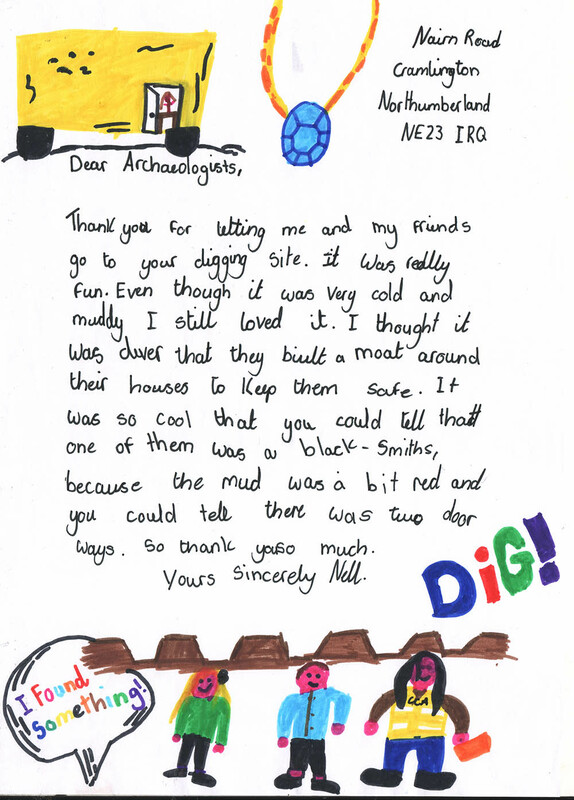 Through our excavation and post-excavation work – notably from material recovered from enviromental samples – we have been able to create a detailed understanding of the relationship and phasing of the enclosed and open elements of the settlement, whilst enabling development to proceed with the knowledge that the archaeology has been fully mitigated. 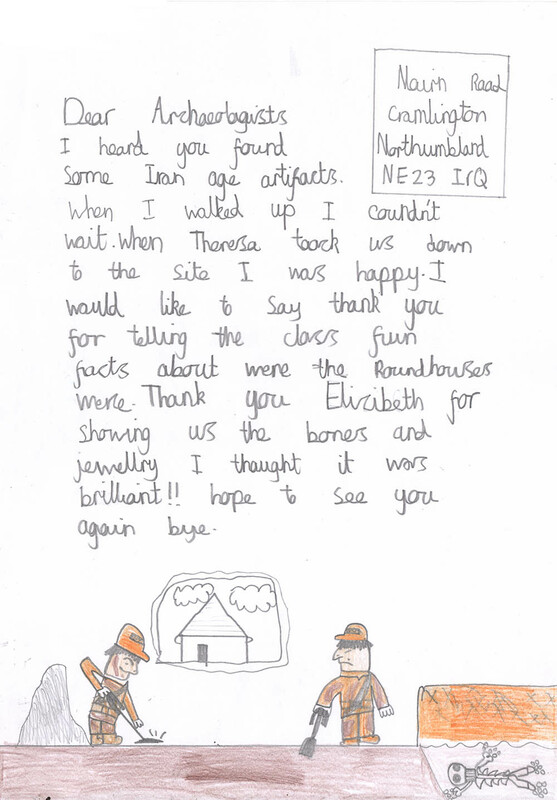 The excavation site was located between two popular public footpaths, and the previously unknown historical settlement attracted great interest from local residents. 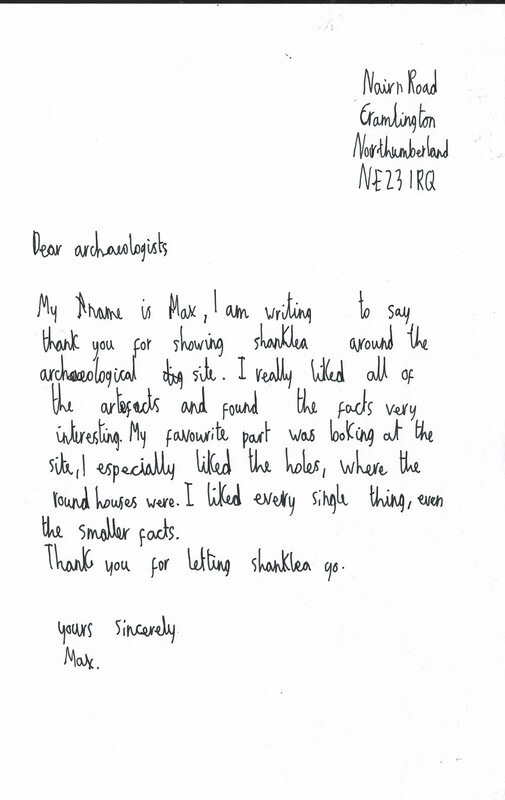 Following a conversation with a teacher from Shanklea Primary School, children from Years 4 and 5 were invited to visit the excavations as part of their National Curriculum history studies. 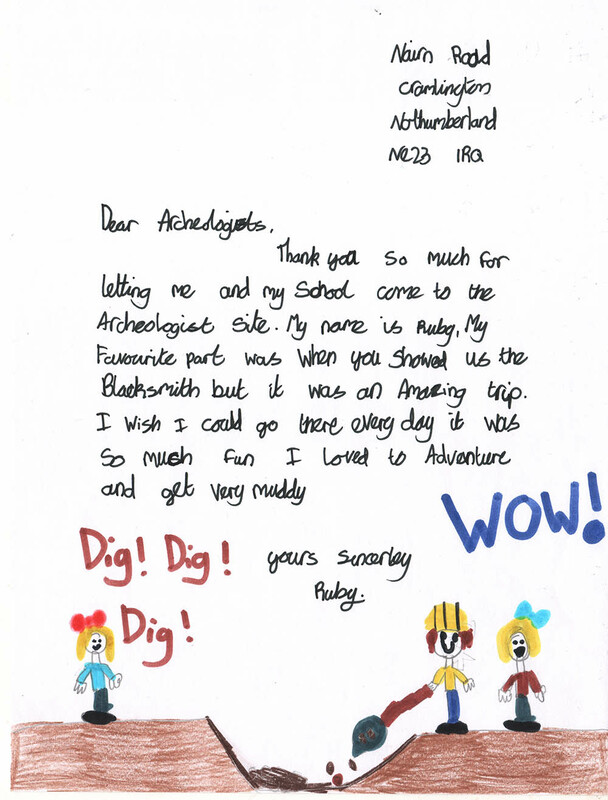 Despite typical April weather and muddy ground conditions, the students enjoyed a fabulous day, and students and teachers alike provided highly positive feedback on their experience, sending pictures of their day to the excavation team.